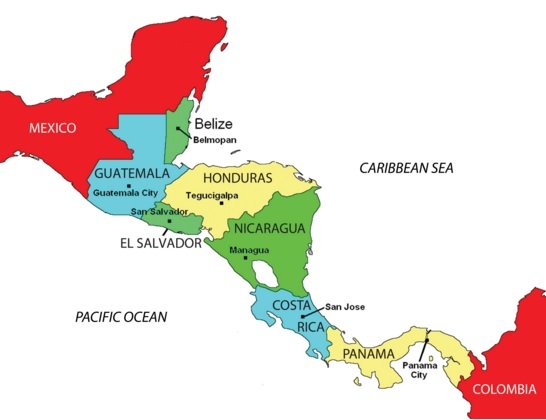 Following a slight deceleration in the first two quarters of 2015, the economy of Central America and Caribbean region gained strength in the second half. In the third quarter, the economy expanded 3.0% on an annual basis and projections show that the positive momentum probably carried over into the final quarter of the year with GDP expanding 4.2%. The acceleration in the second half reflects improvements across the board. Last year, the region benefited from faster growth in the U.S, which lead to higher remittances and a boost in tourist spending. Moreover, low oil prices supported growth as the region is a net importer of hydrocarbons. Looking at 2015 as a whole, preliminary estimates for GDP show that Guatemala’s economy expanded 4.1%, which was down from 2014’s increase but still marked a relatively high growth rate. The slight deceleration reflected lower government spending. The Dominican Republic’s economy also decelerated moderately from 2014’s seven-year-high reading and grew 7.0% in 2015. Elsewhere in the region, Panama’s economy slowed to 5.8% growth in 2015 on the back of poor performance of the country’s all-important service sector. An advance estimate shows that the Central America and Caribbean region grew 3.2% last year, which was marginally below 2014’s 3.3% increase. This year, Central America and Caribbean will continue to benefit from the gradual recovery in the U.S and the region will likely grow faster than Latin America, which is expected experience another year of recession in 2016. In March, the economic outlook for the region was left unchanged from last month's projection. The economic analysts we polled this month see the region’s GDP increasing 3.1% in 2016. Analysts kept their forecasts unchanged for 9 of the 12 economies surveyed, including the Dominican Republic, El Salvador and Nicaragua. Conversely, the GDP forecast was cut for Guatemala, Puerto Rico and Trinidad and Tobago. In 2017, the Central American and the Caribbean region is expected to grow 3.2%. Panama is expected to be the region’s fastest-growing economy in 2016, with the country’s GDP expanding 6.1%. The Dominican Republic will likely be the second-fastest economy with a projected 5.2% growth rate. Conversely, Puerto Rico will be the worst performer as its economy is expected to contract by 0.8%. Looking at Latin America, growth prospects are a bit disappointing, except for the economies of Chile, Mexico and Peru, expected to gain momentum this year and expand 2.3%, 2.7% and 3.4%, respectively.